Grain Theory kendamas finally destroyed the universe and made what is possibly the best kendama video ever. It’s got killer tricks, art by Paul Escolar, bears, Japanese astronauts, and cosmic brainsplosions. Ladies and gentleman, the winners of all time: Grain Theory! Ah, the era of the “midschool” yoyoing. Videos were more grainy, hair was more spiky, and cargo pants had more than enough pockets to tote around Renegades, Freehand 1s, and Spinfaktors as opposed to the more slim denim options of today. “Midschool” can be defined exactly how it sounds, and in the yoyoing world it generally means the era just before, during, and after the “boom” of 1998. It was an era of innovation in absolutely all facets of yoyoing, including tricks, contests, yoyos, and the integration of the recently popularized internet into the yoyoing world. 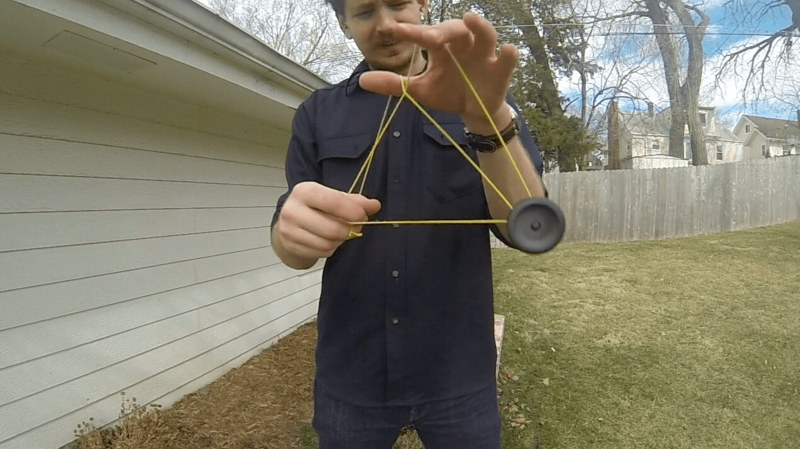 The most popular tricks of the midschool era are some of the tricks that you may have seen or learned from André Boulay’s YoYoExpert tutorials. Some significant ones include White Buddha (Paul Escolar), Superman (Jason Lee), The Matrix (Doctor Popular), Spirit Bomb (Jeff Longoria), and Kwyjibo (Taylor Whitley). What some players may not not know is that these tricks were learned by André during the era in which yoyo videos had to be downloaded using the dial-up connections of the time. Similar to the recent explosion of the #trickcircle hashtag today, they were created by and shared with enthusiasts and those truly in the know dedicated many hours to staying current to the tricks and trends of the time. Back then, there were no GoPro tutorials in which you could see the trick as well as the pair of socks that the yoyoer has chosen to wear for the day. Tricks had to be learned through text, and if you were lucky, text and illustrations along with a short video. If you do enough digging, it is still possible to find some of the old tutorials and learn some old tricks if you have the dedication to do so. In the years after the boom, the numerous tricks of the era were still discussed and learned on message boards of the time and were still some of the hardest tricks to learn. These days, yoyoers have all they could possibly want as far as learning tricks goes, and the tricks from the midschool era that do not have current tutorials of their own are old memories or completely unheard of by most yoyoers. Therefore, there is a goldmine of old tricks that many yoyoers may have never heard of and would probably break their knuckles attempting on one of the tug-responsive yoyos of the time. Yoyos then had to sleep for a long time, not “catch” the string in the middle of a trick, and still be reliably tug responsive. Think old midschool tricks can’t hang with the tricks of today? Think again. 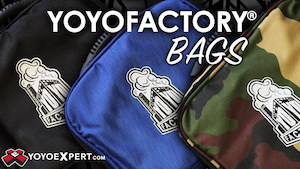 If you get the chance, head over to the Sector Y Archive and watch some of their videos in chronological order. Not only can you see yoyoing itself advance, but you can also see the members of the Spindox Yoyo Club push great concepts further and further with each video. 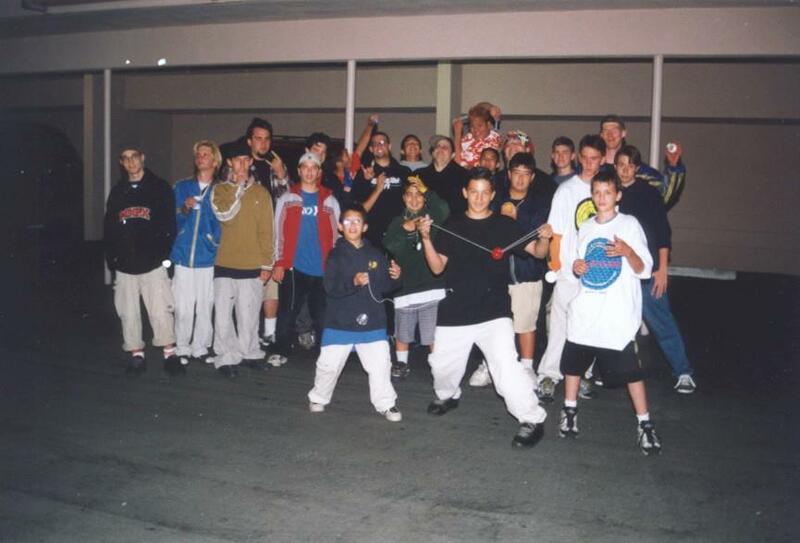 At the release of their “Wish We Were at Worlds” clip video in 2001, the Spindox members were at the top of their game. The most widely-recognized trick from “Wish We Were at Worlds” is probably Breath, by Spencer Berry. Another elusive-but-amazing trick in the video is Paul Escolar’s sequel to his his slightly-less-elusive trick, Red Clover. Red Clover II, otherwise known as Orange Tulips, combines interesting and still widely unexplored Houdini Mount concepts with a a Wrist Mount ending that makes for a fairly fluid, and pretty hard, trick. Check the video above for the trick, starting at 1:58. The first move of Orange Tulips is taken from Red Clover, but after that, Orange Tulips makes it’s own identity and features a pop through a triangle string segment that is pretty difficult when first attempting the trick. The pop is necessary to complete the trick properly, and you’ll only know it’s done right when the yoyo lands and creates a Wrist Mount-esque segment that is situated on the fingers as opposed to the wrist. The end of the trick basically does the same thing as the ending of Superman by Jason Lee but in a significantly different way. An extra kink through the Wrist Mount is undone, and as the yoyo lands in a regular Wrist Mount, a normal dismount followed by a return to the hand completes the trick. The trick is still difficult, and when doing it you can see that Paul was clearly connecting trick segments to do-and-undo each other. Even when performing the trick on a modern, unresponsive yoyo it has a midschool feel and completing it successfully definitely feels great. The video of Orange Tulips in “Wish We Were at Worlds” is literally the only video of Orange Tulips that is currently online. While obscure, it is definitely underrated in my opinion and is honestly a great trick. Learning and performing it on a modern, unresponsive yoyo proves this, and it’s a shame that it hasn’t received more recognition within the community (A Cabin Tutorial, maybe?). Coming to prominence around 2001, Black Hops is a trick that is mainly based around “hop” concepts that still remains somewhat relevant with players. SAGE (Albert Gonzales, inventor of the Iron Whip. ), a yoyoer from the East Coast who was also doing grinds and slacks early in their creation, created a similar but significantly more difficult trick with 8 Diagram Pole in 2001. I have yet to learn 8 Diagram Pole, but those that have speak of it’s difficulty. It doesn’t appear that it would be any easier on an unresponsive yoyo, but anyone that has thrown responsive and has seen the trick can most likely see it’s difficulty during the time it was created. The concept behind the hops are somewhat similar to Spencer Berry’s “Insta-Mounts” (which Adam Brewster has been creating and sharing via #trickcircle lately) and despite lacking the flashiness and fluidity of today’s popular tricks, 8 Diagram Pole definitely deserves a place on this list as well as a place in trick history. SAGE has not been involved in yoyoing since the early 2000’s but his contributions undoubtedly left a mark on yoyoing. TimeTwister is probably the least underrated trick on this list, but it is still fairly underrated in my opinion and not necessarily known as well as some other tricks from the era. While it does have some “modern” exposure, TimeTwister is still a trick that some players may have never heard of or may have forgotten about. I actually learned TimeTwister early in my yoyoing career, and it’s remained one of my favorite tricks since. In watching a lot of of old Spindox videos, you can see Citadel (Gabriel Lozano) playing around with a lot of concepts that are very similar to the ones in TimeTwister and you can also eventually see him throw TimeTwister itself, too. Everybody had their own elements to mess with back then, and Gabe chose twisty 1.5 mount concepts, rolls, and a sort of flowy trick that’s different than a lot of other stuff from it’s time and stuff from now as well. In a non-cynical way, my favorite part of TimeTwister is the end. The part at the end in which you manually untwist the strings that you twisted a step prior really blew my mind when I first started yoyoing. The sideways barrel roll/hug movements within the trapeze towards the end were especially tricky for me to hit when first learning the trick too. Pulling off TimeTwister feels really good, even on a newer yoyo. It’s a pretty long trick, and remembering all of the moves and doing them just right is definitely impressive. I’m pretty sure that innovative frontstyle stuff was just about as common, if not a little more common, in the midschool era as it is today. Steve Brown had this frontstyle mount called the H20 Mount which was basically a Split Bottom Mount with an extra segment that allowed a little more creativity within frontstyle yoyoing. Water Bomb is my personal favorite that utilizes the mount, but another trick of Steve’s that utilizes the mount and is equally badass is Chinese Water Torture. Another yoyoer, throwing under the alias “Spiky Haired Raver” had a trick called Spring Water that utilized the mount as well. Water Bomb definitely makes use of the extra segment within the H20 Mount, along with some rolls and boings to complete the trick. I just really like the midschool-esque fluidity of it all. It may sound obsessive, but I really think it was a combination of the yoyos, concepts being explored, and general climate of the late 90’s/early 2000’s that made for some really, really great yoyoing despite being outdated today. I first saw Steve throw Water Bomb in the How to be a Player video by Duncan, and was impressed because at the time I had just learned Split the Atom and Mach 5. It really impressed me at the time, and it would still probably be a great challenge to learn today if a proper tutorial existed for the trick. It was genuinely hard to think of the #1 trick for this list. I didn’t necessarily write it in any particular order, but in any case “#1” should typically be exciting in some way or another. Well, what’s more exciting than a trick called “Havoc”, right? It’s hard to believe that Spencer Berry invented in this trick in 2001. In my interview with Spencer, he said that Havoc was all about pushing complexity and he definitely did it with this trick. I first saw Havoc quite some time ago, and couldn’t even begin to get a grip on how to do it. Even now that I can do it quite well, it does not feel like any other yoyo trick that I’ve done before. In my opinion, Havoc is the perfect trick technically, visually, and difficulty wise. Not only is it hard to learn, but it also hard to actually smooth out because all of the moves are so obscure that even a seasoned yoyoer will have trouble figuring them out at first. It follows the great tradition with it’s string segments doing-and-undoing themselves and lots of subtle movements being necessary to do in order for the trick to be performed properly. Havoc is 1/3 of Spencer Berry’s Destruction trilogy of tricks (alongside Enigma and Cataclysm) and the reason that I chose Havoc out of the 3 is because it’s simply the most different and most difficult in my opinion. Luckily, Chuck over at CLYW dropped a Cabin Tutorial for it last year and if you’re interested in learning it, doing so is only a click away! Hopefully you enjoyed this look at some obscure yoyo tricks! I actually didn’t start yoyoing seriously until 2011, but in the amount of time that I have been yoyoing I’ve definitely enjoyed learning about the vast history of our great hobby. Shoutout to Gabe and Spencer for letting me use their old videos, and shoutout to Steve for hopefully not feeling really old after reading this! If you have any stories, tricks, or anything to share feel free to email me at: throwplaza@gmail.com! The roster for YoYoRadio this weeks is pretty well stacked! Spencer Berry talking about his new yo-yo, Walter; Drew Tetz talking about the special BarraDREWda from Duncan Toys and also the one and only Paul Escolar, legendary innovator from days of yore. Listen live on Friday at 9:30 pm (EST) at YoYoRadio.net.